Thank you for making me part of the body of Christ, his church. Thank you that there are no unimportant parts to the body. Thank you that all of us are interconnected and interdependent. We have a variety of gifts from you, but all have the same spirit. We have varieties of service, but all have the same Lord, Jesus Christ. We have various ways of working, but it is you, O God, who inspires all of it. Your spirit apportions your gifts as he wishes. Thank you for every manifestation of your power and goodness. And thank you for every graciousness shown to me personally. 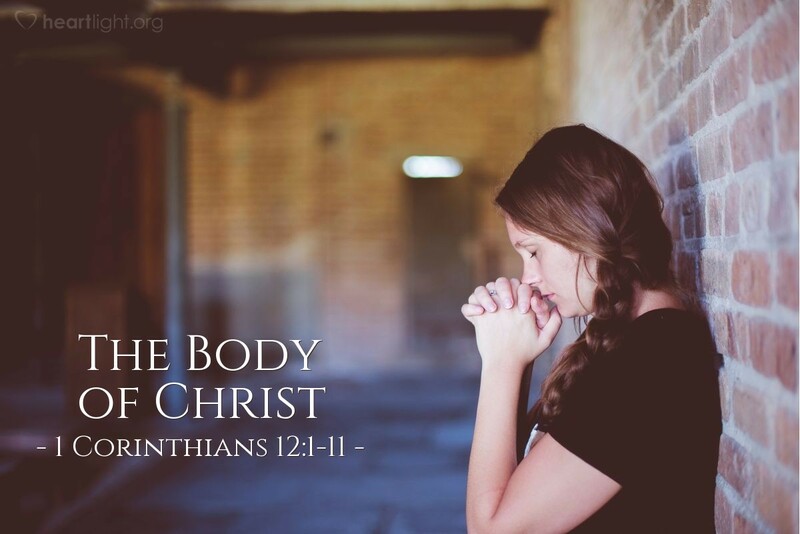 In the name of Jesus, the head of the body, I pray. Amen.